Groundnut / Peanut Ladoo is made with groundnuts and jaggery as main ingredients.It is very easy to make, tastes delicious and healthy too.Groundnuts are high in protein and jaggery is rich in Iron so these ladoos are energy booster ,nourishing and healthy.No ghee is needed to prepare these ladoos.Kids will love it as it is soft .My daughter loves this peanut ladoo very much.This can be packed for kids snackbox too. 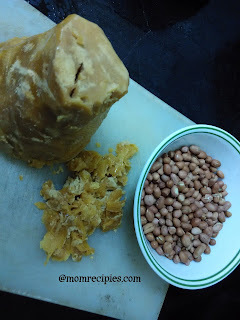 1) Dry roast the groundnuts till nicely browned and the outer skin start to come out. 2) When it cool down little bit rub the groundnuts with your hands and blow away the skin .But I don't prefer to remove the skin of groundnuts. 3) Grate or powder the jaggery and keep it aside. 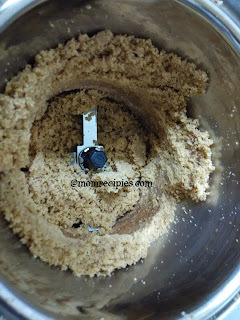 4) Now put the groundnuts in a mixer and give a quick grind as fine as possible.It will be slightly coarse only. 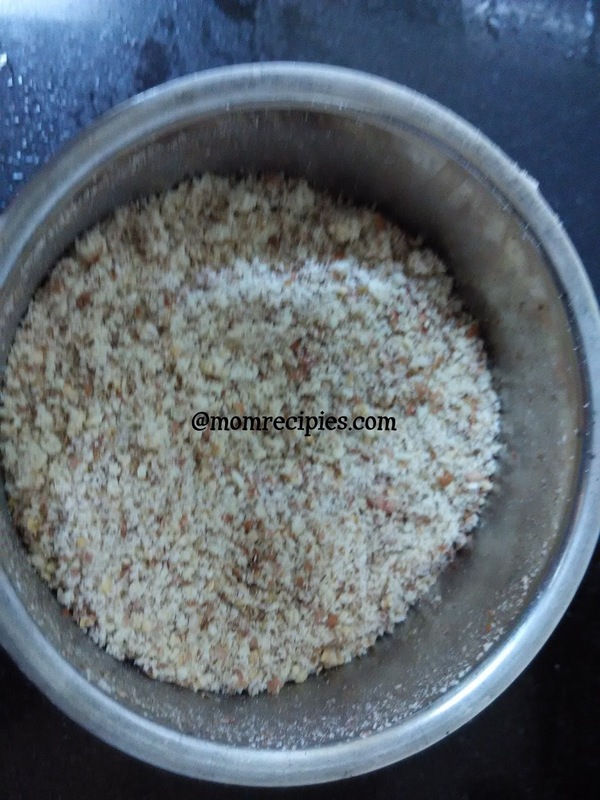 5) Then add the powdered jaggery to groundnuts powder. All together grind this mixture in a mixie till they are well combined. 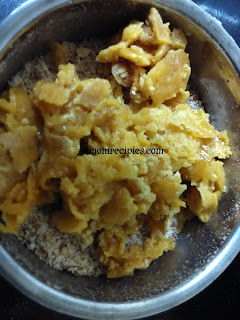 6) When you grind this mixture in a mixie ,oil from groundnuts oozes out and helps in binding a ladoo . 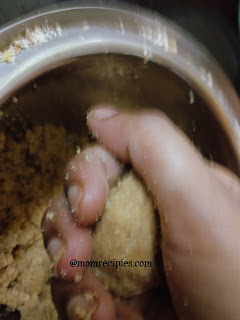 7) Transfer this mixture to a bowl, add cardamom powder .Mix well and break the lumps formed. 8) Shape them into small balls.No need to grease at all, as the oil in groundnuts is just enough to hold together. 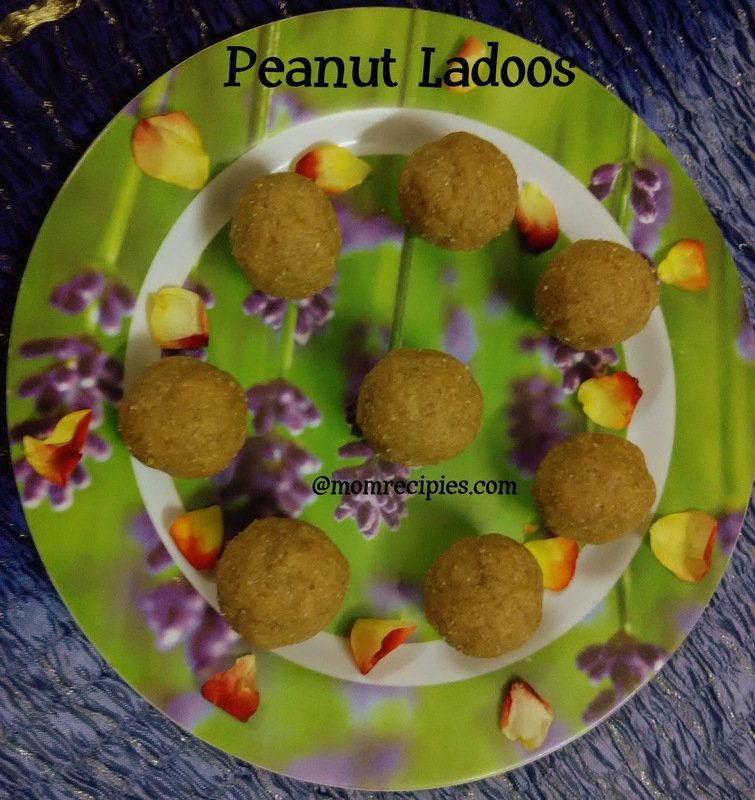 9) Groundnut Ladoos are ready .Store in an airtight container. 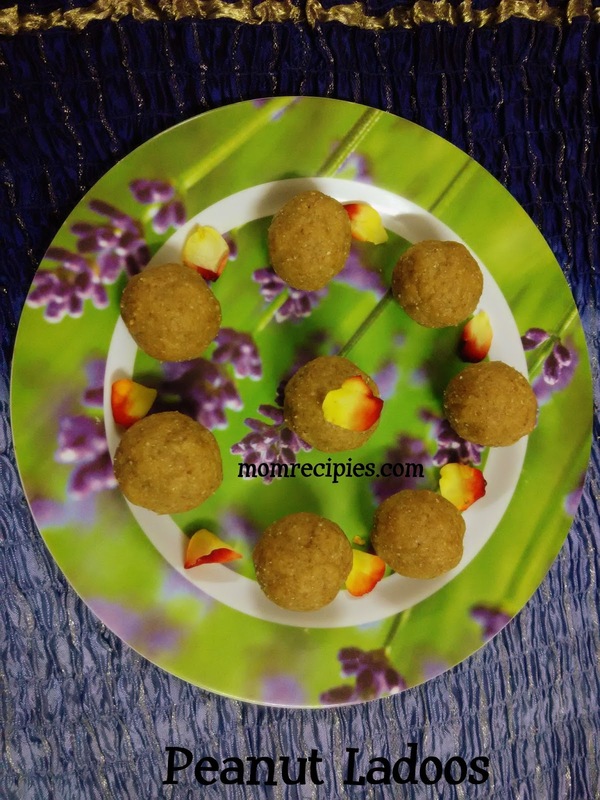 Sweetness is just perfect but if you want more then add 1 cup of jaggery. If it hardens in the end for the last few balls then heat up the mixture for a minute, jaggery will melt then you can make balls or again grind for a minute in a mixie then you can make ladoos.